In 1968, growing opposition to the failing sociopolitical and economic policies of hard-line Communist regime in Czechoslovakia, led by Antonín Novotný, finally came to a breaking point. Reformist politician Alexander Dubček replaced Novotný as First Secretary of the Communist Party of Slovakia. The period that followed, known as the Prague Spring, saw an expansion in freedom of expression, economic liberalization and sociopolitical reform that took the country by storm and was ultimately seen as an existential threat in Moscow. 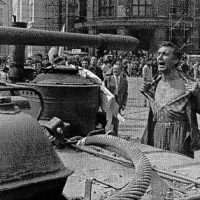 As a result, four countries of the Warsaw Pact — Soviet Union, Hungary, Poland and Bulgaria — invaded Czechoslovakia on August 20th, 1968 to stop Czechoslovakia from further liberalizing its government. Economic Foreign Service Officer Kenneth N. Skoug, in Prague at the time, talks about the events leading up to and following the invasion. He was interviewed by Charles Stuart Kennedy beginning in August 2000. You can read about the 1969 hockey championships between the USSR and Czechoslovakia as well as about the “utter impotence of U.S. policy” on Prague. 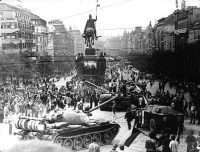 Read about the 1953 East Berlin Uprising and the 1956 Hungarian Revolution. Go here for other Moments on the Cold War. SKOUG: Well, Dubček came to power. The [Communist Party of Slovakia] published his life history, which we began to study. He had grown up in the Soviet Union, had been taken there as a small boy. He spoke Russian fluently. He’d only come back to Slovakia at the time just before the Second World War because the Soviets insisted that those exiled Communists like his father and mother must either become Soviet citizens or leave. And they chose to leave rather than become Soviet citizens. That’s how Dubček got back to Slovakia. …The[Soviets] weren’t so happy because they knew he had been there at the time of Khrushchev and associated with a lot of Russian critics. Khrushchev in domestic politics was something of a reformer, and Dubček shared that spirit. Dubček, as he became head of the party in Slovakia, permitted the Slovak Writers Union much greater freedom than the Czech Writers Union had, particularly after the crackdown. Líterárni Noviny, which was the organ of the Czech writers, was placed under the Ministry of the Interior by Novotný in 1967, after which time no one would write for it. They all began to publish from Slovakia, where Dubček was. 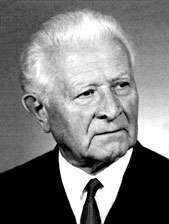 So it could be inferred that although Dubček was not a hard-liner, he was very pro-Russian and he maintained that outlook until his death. He always thought the August 1968 intervention was a tragic mistake. He liked the Soviet Union. If only the Soviet Union had been able to understand that he was trying to make communism popular again, whereas Novotný had abused it. If you really opened the windows, people would rally to the cause. And that’s what Dubček, in his naïveté, believed, and he believed that he ought to be able to convince the Russians. There are sort of two theses about the first months of Dubček. During the first two months, it was thought or sometimes said that the other Communist countries gave him a honeymoon, and the Czechoslovak population didn’t see much difference between him and Novotný. I can assure you that neither of those is right, because almost immediately it was clear to any observer on the scene that there was a brand-new spirit in the country. A television program would appear without “Party spirit,” without an ideological content. There was a documentary on the three houses which the Peceks prominent Czechoslovak coal barons had built in the 1930s. The television reporter simply pointed out that one of them was occupied by the American ambassador. Here’s the American ambassador living in this Petschek house. The Soviet embassy is in another one, and the Chinese embassy was in the third one. And they didn’t say “boo” about the exploiters being in one — it was just a documentary. They wanted to know whether somebody mobilized the armed forces to protect Novotný? And it later developed that, indeed, that had happened. Well, this was pointed out to us as a very significant editorial, and we advised the Department of State to look at it with special interest. It was indicative, and although Dubček didn’t run around making speeches at the beginning, wherever he appeared, and his spontaneity came through. You could see that this was not another Communist apparatchik. We speculated in our first assessment on how much power he was really going to have because he was already talking about “humanism” and a little bit of reform, but we wondered what was going to happen to the leading role of the Party. Of course, this was an issue that never was resolved. The issue was there from the beginning. Moreover, the states around him were all concerned. The first one was Hungary, and János Kádár [Gen. Secretary of the Hungarian Social Workers’ Party] played the role of cat’s paw. János Kádár was used by Brezhnev, “You be the good cop.” And then the bad cop would be Władysław Gomułka [General Secretary of the Polish United Workers’ Party]. A Hard, Formal Relationship with the U.S.
Gomułka would worry that he would lose control in Poland if the independent mood in Czechoslovakia spread north,and Kádár would take the position, you know, “Well, we reformers have to be very careful,” and so forth. Dubček sensed this right on because he was invited—summoned, you might say—to Moscow by the end of January and explained to them that reform was needed after Novotný. He could see that his ideas of reform were greeted with great skepticism in the Soviet Politburo, which was going the other way. They had their own purge trials going on, a purge of writers and so forth. It was a hardening in the Soviet Union at the time when the Czechs were becoming more liberal. It was their misfortune they had missed a happier time when the Soviet Union might have been more tolerant…. It was a general tendency, by the way, of the Dubček government to keep the United States at arm’s length because as the Soviet dissatisfaction and the East German-Polish dissatisfaction with events in Czechoslovakia began to rise, the Czechs saw keeping the United States at a distance as a way to demonstrate to the Russians that they were loyal. They were not going the way of the Hungarians by any means. They would stand with the Warsaw Pact. There was never any question that they would be loyal to their obligations. And so they sort of welcomed a hard, formal relationship with the United States—no visiting trade mission, for example.…We were able to work around it, but on anything that would catch public attention they wanted to be negative. Of course, they were top aid givers to the North Vietnamese, which didn’t help, either; at the time, of course, the Vietnamese War was at a height, and next to the Russians and the Chinese, the Czechs were providing about as much help to the North Vietnamese as anyone. There was a major demonstration at the U.S. Embassy that went on for two days in the spring of 1968, in which a Vietnamese student tore down the American flag from the embassy and they kept the embassy hermetically sealed for two days. The Czechs permitted that. They thought that would be good news in Moscow, at a time when they were beginning to have bad relations, which made it more difficult for us to be helpful to the Czechs, not that we had been very able to help them much anyway. The Prague Spring was spontaneous. As soon as the Czechs realized that there was nobody holding on the lid, the lid began to come off. And as people tried—like explaining the Petschek house—the next thing was a question about “what is your view of democracy?” and so forth. Public interviews—the TV is asking men on the street what they thought. One of them was asked: “What is your view of socialist democracy?” and the fellow said, “Well, that’s when you have free elections, when you can say this…” You know, he enumerated all the things about democracy, and then the interviewer said, “And socialist democracy?” And the man just smiled. He didn’t say anything. He didn’t say a word. What he meant, clearly, was that democracy needed no loaded adjective. And this was a spontaneous freedom of expression that really began to worry the East Germans and the Poles…. We were aware, very much aware. The embassy was pretty well-informed at this point. And very much aware that Dubček could get in trouble—and was in trouble—with his neighbors. The question was, would he have the smarts to get out of it? And he tried to crack down. But of course the basic fact was Dubček did not want to crack down and was not able to crack down on what was happening spontaneously in Czechoslovakia. The question was whether it was reform or revolution. You had all sorts of opinions being expressed. You had people like Václav Havel and others who were not Communists at all expressing views that if you don’t have freedom for another political party that is a democratic alternative, then what is the control on this democracy? Then after several meetings with the Communist brethren, the Four who later invaded the country, from which the Romanians and the Yugoslavs were excluded (the Yugoslavs were frequently excluded, but the Romanians were also excluded this time), and these guys would gang up on Dubček in meetings, and then the arranged for military maneuvers in Czechoslovakia. The Soviet forces maneuvered in Czechoslovakia in June and July, and at this point – this was when the public first turned to warning: there was the “2,000 Words Manifesto” of Ludvík Vaculík, the guy who had really attacked Novotný the year before at the Writers Congress. He came up with a manifesto, which was signed by a number of prominent Czech intellectuals, warning that they would go if necessary to the end to save the government if it saves itself, clearly implying that the Czechs must resist an invasion. Wow, that set off Brezhnev. He was furious when he read “2,000 Words.” Now the counterrevolutionaries are running wild he thought. It was at that point that the Soviets called a meeting in Warsaw, but the Czechs wouldn’t go because they wanted to meet individually. They said that they’d meet the five angry brethren individually with each of the Five, but they weren’t going to be summoned one more time to be spanked by the Five collectively. So in Warsaw the Five met, and came up with what was called later the “Warsaw Doctrine.” This was “You can do this and you can do that, but this thing, socialism – “To je vasi vec, to je nasi vec” – ‘That’s your affair, but that’s our affair too’ – socialism. When you begin to fool around with socialism, that’s not just your affair. It was very clear. They were right on the table. The Brezhnev Doctrine at this point emerged in the Warsaw Letter. And the Warsaw Letter was addressed not to Dubček but to the whole Central Committee because the Russians thought, with reason, that on the Central Committee and on the Presidium there were a lot of people who shared their concerns. But by this time, Dubček had already been obliged….Dubček was really not the leader of this — he was going along with it, but he was no means the leader of the Prague Spring. The real mass leadership within the Party called for a new Party Congress, which would be an extraordinary Congress. Dubček had resisted calling an extraordinary Party Congress because he didn’t want to rock the boat. They, the patriotic or liberal faction, wanted to rock the boat. They wanted to get rid of all these guys that were holding back on reform and who were taking the side of the enemy and so forth. They wanted to go forward with a real liberalization.So they set a date for the Congress, the 14th Congress. And they had elections to the 14th Congress. A lot of the hard-liners were losing these elections, and so it was clear to them that if this Congress met, they’d be finished. And at the point when the Central Committee met to discuss the Warsaw Letter and to respond to it, which was in July of 1968, a lot of the people who were going to be elected to the Congress, which was set for September, were invited to the meeting so that Dubček would have a majority, and Dubček got himself a majority by hook or crook. There were a lot of journalists coming in to see the [Prague Spring] in action. Shirley Temple was there. There were a lot of people, a big community. It became short of chic to be in Czechoslovakia. It was the most interesting thing that had happened, certainly, since Hungary, and Hungary really was bloody, whereas Czechoslovakia was not. And so you could come there and see a situation where Communism was imploding, where people were lining up to buy newspapers because newspapers now said something, and the press was relatively free—not free, but it was a lot freer than it was anywhere else in the communist world. That’s where the situation stood when the Czechs responded to the Warsaw Letter. Senator [Claiborne] Pell came to Prague in 1968, around July 4th, and he wanted to go to Košice. Košice was a town in the Hungarian part of Czechoslovakia in the part taken from Hungary after the First World War. It was very close to the Soviet Union. He just wanted to see what Košice was like. Jim and I and Pell flew to Košice, and there we had a chance to see what the Prague Spring looked like a few miles from the Soviet Union. It looked like it looked in Prague, people dancing and the big beat, and so you couldn’t imagine you were in a Communist country. There was freedom from of expression. There was the spirit, particularly among the youth, which the Prague Spring inspired throughout the whole country. The next day we went to Uzhgorod. We went to the border. And this border looked like the Iron Curtain—two Communist countries, but there was a Soviet motorized infantry regiment maneuvering. It had just come back from Czechoslovakia. You could hear them firing, firing all the time. You could see the barbed wire and the plowed earth. It was just like the Iron Curtain. That was his trip to the Soviet Union. I’m probably the only person who ever visited the Soviet Union for one hour. It was decided that Soviet Politburo and the Czech Presidium should meet. And the reason they called for this meeting, was that they thought that Dubček had a lot of opposition, and he did, in the Presidium. Their Politburo, of course, was fully united, and they would be able to overawe him because he wouldn’t have enough of his friends around. The Russians thought, too, that the Czech Communist Party was divided. They thought that the Central Committee was divided. But the further down you went in Czechoslovak system, the less division there was. The Czech population was really fully united. The Czechoslovak Central Committee was not united, but it was stronger for Dubček than the Presidium which, had five or six guys who were bad. And so the Czechs didn’t accept meeting in Uzhgorod. They couldn’t accept a place outside Czechoslovakia because they felt as soon as they got there, they might be arrested, and that could quite easily have been done, as had happened to Imre Nagy and Paul Molitor in Hungary in 1956. Anyway, they finally decided on a border point, Čierna nad Tisou. It was right at the border, near Košice. They did meet there, the two Presidiums, they reached an agreement, and then they went to Bratislava the next week with the Poles, East Germans, Hungarians, and Bulgarians to formalize their agreement. All problems had been resolved, and so forth. And I wrote in my journal, “Maybe the honeymoon is over.” Well, that was the day that the KGB began to send people into the country preparatory to what happened three days later. I was awoken at 2:00 am on the morning of August 21st by the duty officer, Ted Figura, who said, “The Russians are in Bratislava.” Now it took me a while to clear up my head and remember that the Russians had no business being in Bratislava. Well, they’d reached Bratislava first, because that was one of the closest targets, but they were also coming to Prague. I could hear the drone of engines, which had just started. They began landing at about two in the morning at the Prague airport. They landed with perfect precision. These aircraft were bringing in the invasion force. It was hard to tell what was going on because the conspirators, who were considerable, had got control of Prague radio, and were refusing to publish a statement issued by the Czechoslovak leadership. It had been heard once, and that’s how the United States was informed that the country was being invaded without the knowledge or consent of the Czechoslovak Government or Presidium or anybody. But then this message was stopped, so you couldn’t hear anything on the radio which would tell you what was going on. In the middle of the night another officer and I went for a long walk in the area; we walked past the Czech government building where the Premier, Cernik, would have been. We were not able to walk as far as the Party building where Dubček was because that was on the other side of the river and a long way away. There were couples, a few of them strolling around. It was the middle of the night, but there were cars moving here or there. You couldn’t tell what was going on. Already at this point Cernik had been grabbed by the Russians. He was the Premier. Shortly thereafter, Dubček and Josef Smrkovský [Communist Party Reform Wing] were nabbed, and others that the Russians had on their list. They kidnapped all of them and took them separately from Czechoslovakia. They took them first to Poland and then they took them to the Soviet Union around Uzhgorod, as a matter of fact. We walked the streets, came back, and by the time we got back to the embassy there were new guards and they weren’t going to let us in. One of them blocked me with a powerful arm from going into the embassy, and then somebody who knew me said, “That’s all right, he belongs to the embassy.” They had put these guards, the conspirators had put these guards on there, people in the security services who were cooperating with them, to prevent a lot of Czechs from running into our embassy grounds. They didn’t want them to escape in the embassy once the invasion started. Well, that’s what it looked like in the middle of the night. Then I went for a walk the first thing in the morning, and you could see the impact of the tanks. The tanks were just arriving. The traffic was just arriving. I don’t know about Belgrade, but Prague goes to work early in the morning. “Well, I have come here to save the Czechs,” the drivers seemed to respond. Then the Czechs would say, “We don’t need any saving.” That was the immediate mood. But then things very quickly got harsher. When I had been out on the walk with my colleague, we had noticed that there was an airplane flying in circles right over the middle of Prague, right over Wenceslas Square, Václavské Náměstí, and the Czech radio was right there. What the drone was doing was guiding the forces coming from the airport towards the heart of the city. As the tanks came through the city in the night to take over the downtown area, they then went for the radios. I did not see that particular thing. I had gone back to report from the embassy. The radios by this time had come on and they were broadcasting for all they were worth, and they were broadcasting that a group of students and civilians were trying to keep the tanks away from the building. You could hear the firing, the heavy machine gun firing, which shattered concrete walls. They later called the walls El Grechko’s mural. Marshall Grechko was a prominent Soviet military figure. They were firing on the radio station. And then finally there was a very poignant moment when the radio announcers said, “We’re going to have to sign off the air now. When you hear the radio again, you’ll hear other voices, but don’t trust them.” It was really quite something, and then you heard the Czech national anthem, which is particularly beautiful. And then there was just the firing, gunfire following, and there was silence on the radio. And then it came back on, but they were not the bad guys after all. The Czechs had been prepared. They thought the Americans or the West Germans might invade the country, and they had a whole elaborate scheme for broadcasting. For one thing, they broadcast from hidden facilities in the radio itself. The Russians didn’t find them for a couple of days. And in addition, they began to broadcast from transmitters which were mobile, and they began to pass from hand to hand, not only in Prague, but in 15 or 16 points throughout the country. And it was those radios that told the world that the Czechs were still resisting. Without that the embassy couldn’t have reported it. The embassy could have reported the thousands of Czechs who took to the street in protest as it did, but it wouldn’t have been so descriptive of the widespread nature of the resistance. But with the radio itself and as a Czech author points out, it became the government of the air, it became the government of the resistance, and of those who made it. When the radios told them to demonstrate at noon, they demonstrated. When the radios told them to do this, they did it. It showed how effective and how far the democratic processes had gone in a country that had been a democracy. There just was enough… They weren’t dealing with people who didn’t have any understanding of democracy. The amazing thing was that suddenly you saw on the city’s walls the names of Czechs and Slovaks who were traitors. They were the ones who had betrayed Dubček. Everybody rallied to Svoboda. Svoboda means ‘freedom’ or ‘independence’ in Czech. He was the president. 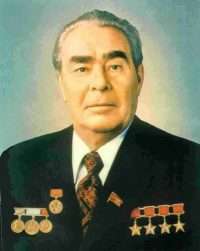 He was a general who had been a hero in the Soviet Union, but he refused to give in to the conspirators at this point. So he was adulated at a level together with Dubček—wrongly, because Svoboda was not really a good man; he just was an old soldier who went along with the population. He was dazed and he thought that somehow they could work this out. He flew to Moscow, and he did work it out in the Moscow Agreement, which was a total surrender. But for the moment he was a symbol of resistance, and the fact that he was resisting quickly became known. All of the Communist Party leadership had been kidnapped. A new leadership quickly arose, including guys I knew quite well. By the way, the 14th Party Congress took place. These guys organized the Party Congress. All the delegates went in dressed as workers. It took place right under the nose of the Russians. And so the thing that they had come to prevent took place under their nose. Unfortunately, Gustáv Husák and a lot of the Slovaks didn’t get there. 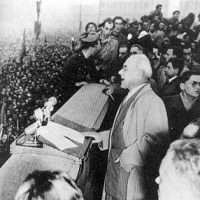 Husák didn’t want to go, really, and he later used that as a protest for undoing the 14th Congress and saying it was not a Congress because the Slovaks weren’t there. But be that as it may, the popular resistance was everywhere. It was obvious that people were resisting, and so it was obvious to the world, and of course we were even reporting that as was Czechoslovak radio. The radio was being picked up all over the country depending upon what resistance was taking place at this or that point. So no one could assume that the Russians had won. They had the country physically; it was beautiful. Their military operations couldn’t have been better. They knew exactly what they were to do, but they didn’t have a political plan. They had planned to have a workers-peasants government headed by Alois Indra, who was a key Party secretary close to Dubček. As I say, they had five or six guys on the Presidium, and a few in the secretariat, who supported the invasion. But they lost their nerve when they saw how much resistance there was. Finally, they all trooped up to Svoboda, the president, and asked him to approve a government, and he refused. Instead of that Svoboda went to Moscow taking some of them with him. He was really playing both sides, although the Czech people thought they’d won. They thought that they had won when the Soviets had to negotiate after having invaded the country and being unable to take it over. The Czechs really thought they had won. 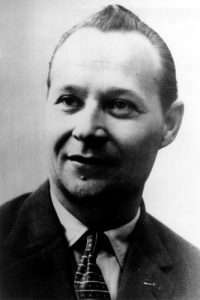 And of course at this point Dubček and the others were released from their prisons where they were probably going to be shot, and they were brought to Moscow because Svododa had insisted that his colleagues take part in the negotiations. Well, they didn’t really take part. Dubček certainly didn’t. He was present, and according to his memoirs, he was opposed….There are various accounts of this, but the bad guys had a majority, even on the Czech group that was negotiating with the Russians in Moscow. At the time the resistance was standing down the Russians in Czechoslovakia. The Russians would have had to employ force. Svoboda said he didn’t want any bloodshed. I don’t know what the Russians could have done if the Czechs hadn’t given in, but the Czechs certainly could have driven a better bargain than they did…. They caviled and gave in. They signed a very bad agreement. Their only thought was that, like Good Soldier Svejk, once they had got out of this thing they could somehow hoodwink the Russians, but they weren’t dealing with Austrians. They were dealing with hardliners in the Kremlin, who were not about to let the Czechs go. That would usher in a new phase, but the Soviet troops would remain. The resistance in Czechoslovakia thought they had won. 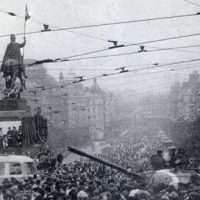 When the delegation came back from Moscow, the Czechs turned out in the thousands. And then when they heard the speeches of Dubček and Svoboda and Smrkovský, they knew that they’d been totally sold out. That model collapsed on August 27th a really devastating day. That was seven days after the invasion. Q:Were there any problems or confrontations with Soviet troops? SKOUG: Sure, there were lots of incidents, and there were a number of people killed. The Soviets rode around town with their machine guns loaded, and in one case they went over a bump and killed a young woman. She was just standing there. She wasn’t doing anything. There were several incidents like that. I myself saw a Czech grab a Soviet officer’s sub-machine gun and run off. The Soviet ran after him. He would have been shot by his own people if he hadn’t got his gun back. I heard a round of gunfire, but I don’t know what happened because they were out of sight. 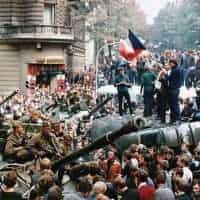 I was in the embassy on one occasion early in the invasion when a Soviet armored personnel carrier with a large cannon mounted on it came right to the embassy. It sat there a long time facing the embassy with a gun aimed at it. It didn’t fire. The next thing that happened was that we spotted some Soviet soldiers who were on the grounds of the embassy, our grounds, high ground above the embassy which belonged to us. Whether they knew that was part of the embassy or not, I don’t know, but they were eating apples from one of the apple trees. Ambassador Beam sent our political counselor, first secretary of embassy, Mark Garrison, who was a Russian speaker, to tell them they were eating American apples. Well, they didn’t leave immediately, but eventually they did. But there were other problems. The security officer had a shotgun stolen from his apartment. You can understand why that would happen, I guess, but they broke in. They must have known it was an embassy apartment. It wasn’t in the embassy. It was an officer living outside the embassy. And there were plenty of other incidents. They shot up the Swiss embassy very badly. No one was killed there. They came prepared to use their weapons. We could see them firing tracer bullets. A lot of them were in the yard. My apartment happened to front on the wall facing the high ground, and so the bullets were coming down there. We still had our daughter there and my wife made the decision not to leave. My wife made the decision. I didn’t make it for her. An interesting thing was the special train. We had a lot of people visiting. There was a Geologist Congress. There was a whole delegation of young people from somewhere out in Kansas. There were many, many visitors. 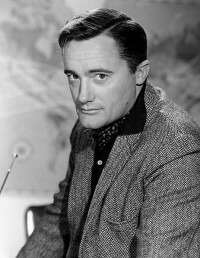 I mentioned Shirley Temple was there, and the “Man from U.N.C.L.E.” [Robert Vaughn] was there, and a number of Americans were there. The question was how to get them out. You’d organize a column of cars. Shirley Temple got out that way. But the cars couldn’t take out anything like the number of people who were trapped in the city. And of course no one knew what was going to happen. They didn’t know whether the Russians would begin firing or not, and so the hope was to get them out. I think this was the second day. I had an earlier opportunity to meet the vice-minister of transport because an American official, Deputy Assistant Secretary of Transport Robert Agger, had paid a visit to Czechoslovakia in June and I accompanied him. We had taken the Transport Minister’s special train to Plzen and so had a bit of contact with their transport people. Many phones were out and other attempts to obtain transport proved negative. We had tried to get these people out by buses, but the Czechs wouldn’t let them risk it. They said the Soviets would destroy their buses in no time. So the train was the only hope. You couldn’t count on anybody being anywhere in particular. So it was agreed that this train would leave from another station, and the Consular Section then tried to get all Americans out, including the students from Kansas. Many foreigners also took this train, and I suppose maybe some Czechs too. Anyway, this train was loaded with people, and it left by night. [The crisis could be] divided into four sections: one, Novotný; two, the Prague Spring; three, the invasion; and four, the period after the invasion, when the Czechs did their best to retain what freedoms they could. In this last phase the population, the literati, the communications media and some trade union leaders, resisted, and the Soviets gradually applied pressure, using the Slovaks. And they used Husák shamelessly. The first thing they did was to nullify the 14th Congress of the Czechoslovak Communist Party because enough Slovaks weren’t there. When the battle in the fall of the year was essentially over people in radio and television began losing jobs, freedom of the press slowly being cut off and Party Central Committee meetings became tougher and tougher.